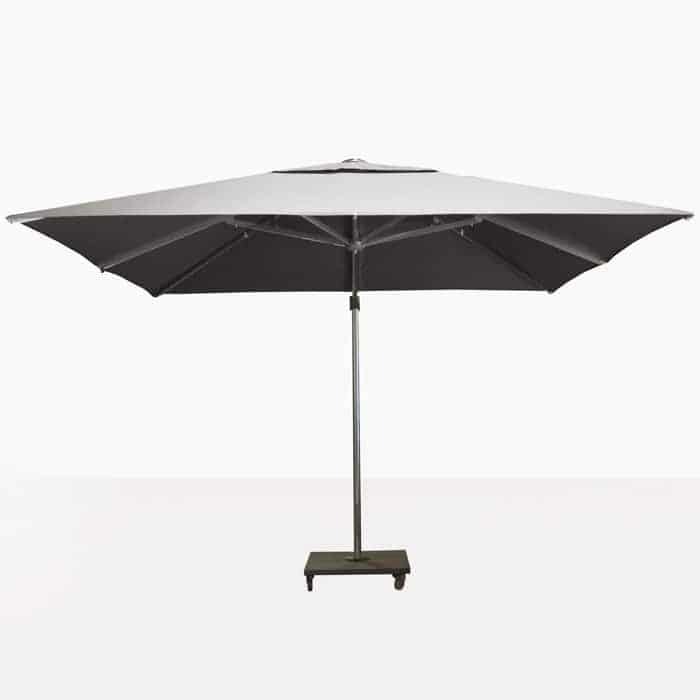 Grandeur and opulence with many options; get ready to relax in the safety and security of UV-proof shade with the grey Ascot Cantilever Umbrella and granite base. This magnificent grey cantilever umbrella has a 13 by 10 feet rectangular canopy rather than our square Antiqua or Kingston Cantilever Umbrellas, which works well for a longer deep seating collection, grand rectangular dining sets and for our long sun loungers. 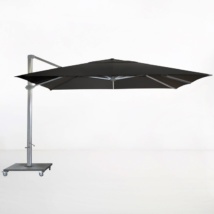 The Ascot Cantilever Umbrella is made from a fabulous Sunbrella® fabric with a powder coated aluminium frame and #316 Stainless Steel fittings. 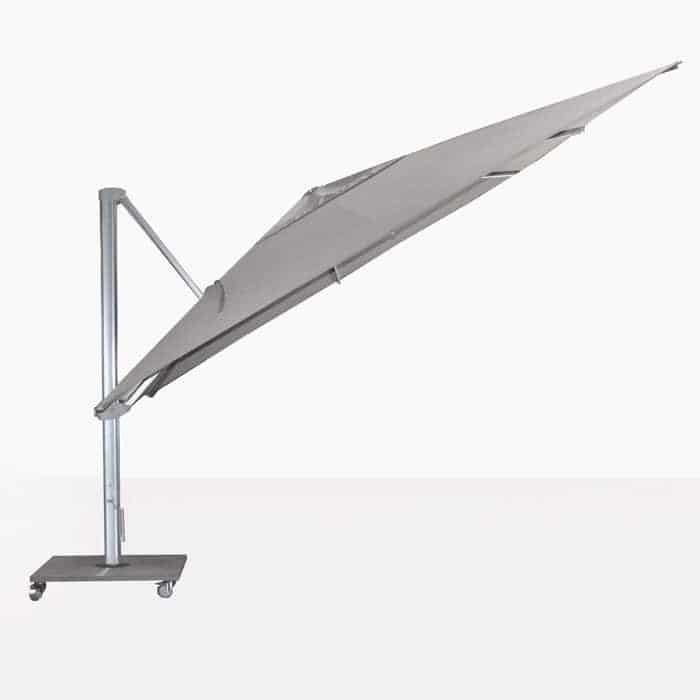 The mechanism of this grey cantilever umbrella is easy to use and can be changed from different positions quickly, as well as easily retracted and out of the way in a matter of seconds! 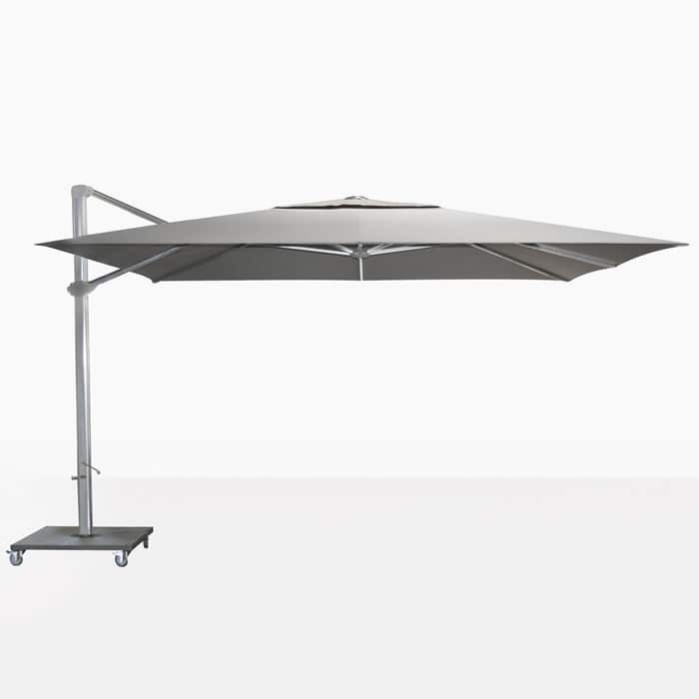 This rectangular cantilever does a full 360 degree turn and umbrella canopy is able to tilt depending on where the sun is. 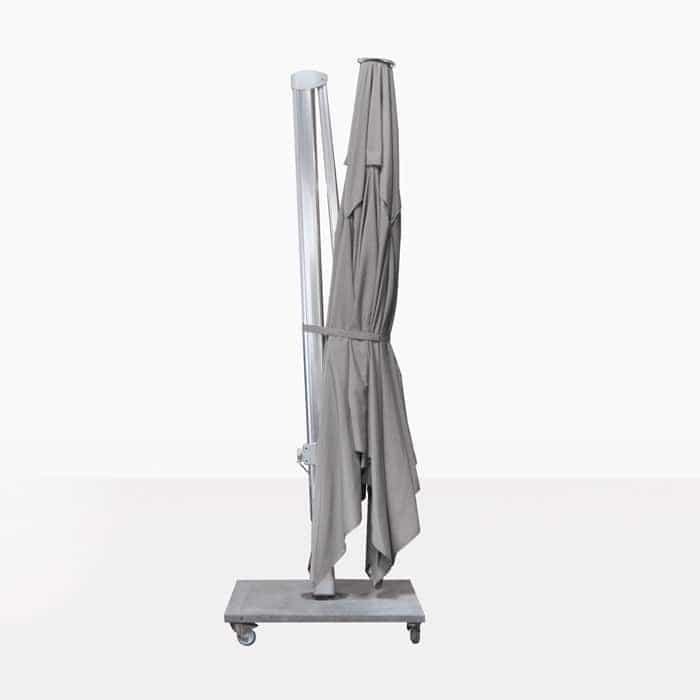 Create a stunning setting with gray Ascot Cantilever Umbrella languidly hanging above one of our Plank Stainless Steel Tables, surrounded by Bruno Chairs in Taupe. 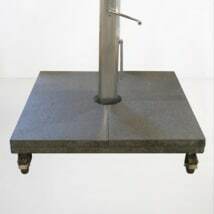 You will be absolutely thrilled with the contemporary vibe you’ve created! This rectangular cantilever also fits fantastically into commercial environments, have it hanging over 5 Rocco Loungers for a tremendous look to complement your resort. The Ascot Cantilever Umbrella is available in the color Grey (as shown). 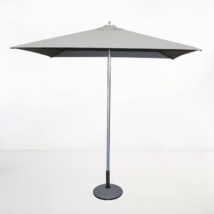 Enjoy the summer breeze with the Ascot Cantilever Umbrella in Grey without worrying about getting too much sun!